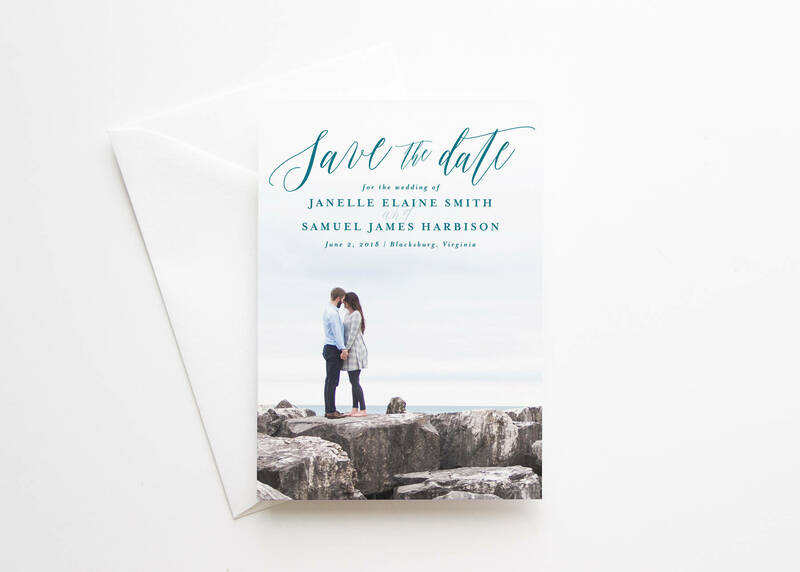 This semi-custom save-the-date card features a full-bleed photo with text overlay, and an optional hand-drawn blush floral backer. I’m happy to adjust the colors to coordinate with your wedding! 1. Choose your backer and place your order. 2. Within 24 hours you’ll receive a link to upload your images and wording. 3. Within 1-3 business days, you will receive a digital proof. At this point you can request changes such as photo placement/cropping adjustments, color changes, and text adjustments. 4. Once you’ve approved your proof, you can expect to receive your printed cards in 7-10 business days. 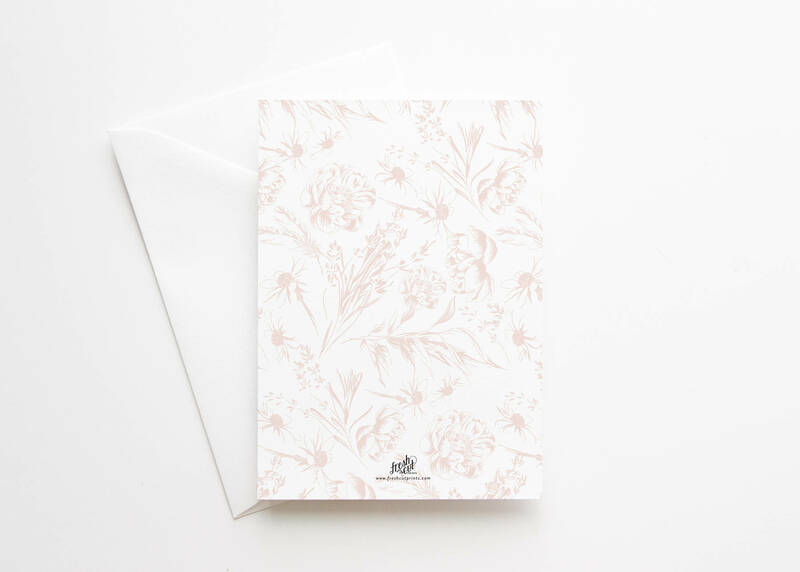 Your beautiful, premium quality cards will be printed on 100% recycled paper. Cards are 5"x7" size and come with white envelopes.